BitGrow is a low-risk asset management plan that gives users stable returns of their cryptocurrency through quantitative transaction trading. Today, we are introducing IoTeX BitGrow Flexi, where users can grow and withdraw their digital assets any time. Users can transfer their idle IoTeX from the Cloud Wallet to IoTeX BitGrow Flexi. (No minimum deposit!) In return, they will be able to grow their respective cryptocurrencies on a daily basis. Under Cobo’s supervision, BitGrow Flexi value-added service is supported by KANGA FINTECH PTE. LTD.
Users must be KYC Level 3 or above. At any point of time, users can transfer their digital asset from Cloud Wallet to BitGrow Flexi. Deposits on a given day ("T") will begin accruing the next day (“T+1”). The return rate is recomputed every 14 days based on the IoTeX reward scheme. The more IoTeX in Cobo pool, the higher the return rate! BitGrow Flexi follows a progressive rate ladder. The longer your coins sit in BitGrow Flexi, the higher the rate you receive. The calculation of return rate is as followed. Let x be the computed return rate (mentioned in 5.) and y be the number of 14 days deposited. The following BitGrow Flexi has no daily deposit limit but, each BitGrow Flexi plan has a total market limit. 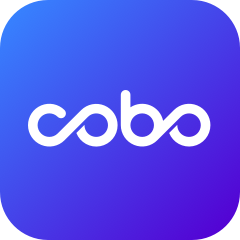 Therefore, Cobo users can only deposit the amount of cryptocurrency left available in the market pool.